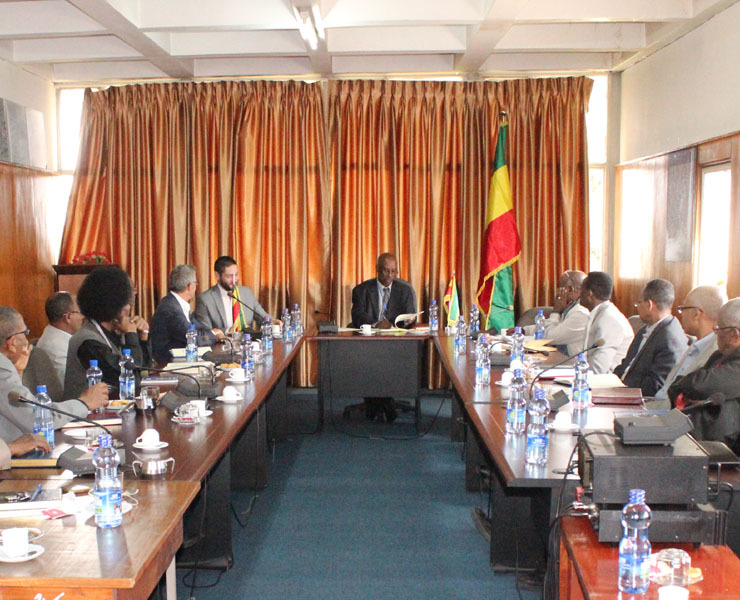 Wednesday 11 October, CNES, IGN FI and the Ethiopian Mapping Agency (EMA) signed a cooperation agreement in Addis Ababa to provide EMA with updates for the land cover layer of its 1:50,000 topographic maps. Under the agreement, CNES will supply cloud-free Sentinel-2 images corrected for atmospheric effects, while IGN FI will be responsible for training operators to use Sentinel-2 data and will support EMA for thematic checking of the land cover layer. Many countries around the globe do not have up to date nationwide 1:50,000 coverage of their territories. Ethiopia is one of them and is therefore looking to update its maps. The agreement signed today covers a first phase of training, production and verification of the land cover layer at a few pilot sites, and a second phase in which coverage will be extended to all of Ethiopia’s territory if results prove conclusive. For CNES, this topographic mapping project will give it a chance to produce and deliver Sentinel-2 imagery in an operational context. The results of this trial will allow IGN FI to develop a more competitive offering for updating of 1:50,000 land cover map layers and production of maps at scales of 1:100,000 to 1:1,000,000 in Africa and around the world. EMA hopes, meanwhile, to be able to generate the land cover layer of the 1:50,000 map much more quickly and cheaply than before.